Two early defensive TDs for the Bears, and then the offenses decided to do nothing the rest of the game (17-3 final). The Panthers had the ball for 38+ minutes and couldn’t score a TD. The Bears had the ball for 21 minutes and basically laid down to hold the lead and not make a mistake in the light rain/slippery conditions. The Bears are suddenly in the NFC North race. They don’t deserve to be, but they are…actually, they’d be leading it with a different coaching staff. I just want them to get to six wins to collect on an ‘over’ win total bet from this summer on them. If the Bears can somehow beat the Saints in New Orleans next week, Chicago would be 4-4 heading into their BYE week. Post BYE they have a schedule littered with non-playoff teams/not elite QBs to face/non high-end defenses to face through Week 17…with home games facing SF and CLE included. At MIN, at PHI are their toughest games – playoff teams but shaky ones. It’s possible the Bears are 8-7 heading to Minnesota Week 17. The Bears have a better than believed defense and now with Mitchell Trubisky – they have a QB who could bail them out in a game if asked/allowed. The Bears shouldn’t be a playoff team but with Green Bay and Washington falling due to injuries and their easy schedule…it’s potentially going to be ‘a thing’. They’ll likely fall short around 7-9/8-8 but if you see them beat the Saints next week, somehow/someway…then they have a real path to 9-7+ due to their schedule…and talent. What’s cosmic is the Carolina Panthers have fallen from a lofty perch and will probably be battling to get to 9-7 by the end…this win by the Bears may be the tie-breaker keeping Carolina out of the wild card and putting the Bears into it. I think Carolina is more ‘in’ than ‘out’ of the playoff scene…once they get Luke Kuechly and Kurt Coleman back this is a different football team. It’s not a team that will go anywhere once in the playoffs, but I think they can make the playoffs. The Saints are likely to win the division now with the Falcons having rolled over. The schedule sets up for Carolina to go 3-0/2-1 in their next three pre-BYE week…if the Panthers go 1-2 or worse in that stretch they are cooked. -- The Panthers suddenly had no offense in this game. The running game has disappeared the past few weeks and they are rolling with gimpy Kelvin Benjamin (3-65-0/6) and mostly ineffective Devin Funchess (4-41-0/8) – it doesn’t give Cam a lot to work with. I’m not a ‘Cam guy’ at all, but I also see he doesn’t have a ton to work with. Because of the lack of weaponry, Cam has started taking some matters into his own hands lately – he’s starting to run the ball a lot more again. 50 yards rushing here, 71 yards rushing on 11 carries the prior week versus Philly. 8.8 rushes per game the past four weeks, 4.7 totes the first three games…back when there was a started effort to not have Cam running. That plan seems out the window. 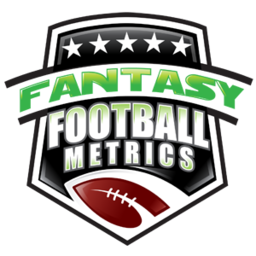 When Cam is running – it’s good for FF, especially in 4pts per pass TD leagues. He had a junk FF game here because he didn’t rush or throw for a score, but the past three weeks he was either throwing for nice FF numbers or running for them (or both). If your season is crashing and burning and you hate your QB in 4pts per pass TD leagues – I maintain Cam might be a great play on a guy people are starting not to like as a human/football player but he can pile on huge fantasy numbers when he decides to be a runner. This was a weak offensive performance, just three points for Carolina here, but the prior three games the Panthers scored 33-27-23. Mostly favorable defenses to face ahead for Cam and the offense. -- The big news: Tarik Cohen (1-70-0/3) was starting to go back to being used more as a WR than just an RB…after a few weeks of being a regular old RB. In fact, this was the most ‘Tyreek Hill’-like alignment of Cohen I’ve seen since Weeks 1-2…back in the days when he was catching 8 passes a game…I went crazy…everyone sold their soul for him…then the magic stopped abruptly…now you’re wondering if you should cut him. I don’t have any notes that Cohen ever lined up at tailback this week. Last week, that’s all he did. This week – lined up only as a flanker. I mean, sometimes he was like the #2 WR split out…on top of being in the slot/all over. It was what I’ve wanted to see for weeks…only this game was so weird, with all the early D-TDs, that the Bears only threw the ball 7 times…3 of those to Cohen (42.9%). *Cohen only played 7 snaps...saw three targets, had one negated on penalty. Consider the Bears only had 38 snaps all game...where 60-70 is 'normal'. The first of those seven passes was a deep shot to Cohen early but off the mark. The next pass was to Cohen as well…and he dropped the easy pitch and catch pass. The first two passes of the game were to wide receiver Tarik Cohen. Soon after -- the 70-yard play, where Cohen grabbed a downfield pass and did what he does…started making magic happening racing past defenders in the middle of a pack. He was tripped up 5 or so yards short of a sweet long score. I give them credit, as much as I rag on John Fox and Dowell Loggains (OC) – they are trying to figure out how to use Cohen in a variety of ways. However, they’re not very good at it. Cohen is stuck in early Tyreek Hill usage days of 2016…back when KC knew they had something but didn’t know how to fully utilize it (they still don’t…but have gotten better). Cohen is magic when he has his hands on the ball. In this game, between 26 carries and 4 completed passes in this game for the Bears…there were 30 times the ball was in a Bears player’s hands…and 21 of the 30 to Jordan Howard. Not a lot of room for everybody else. Cohen appears to have his stock back on the rise again…but it was hidden in this odd ‘game flow’. I’d be a buyer because I think the Bears might be going back to their Weeks 1-2 roots with Cohen. -- I thought Curtis Samuel (1-20-0/1) had a chance to be what Tarik Cohen has become/is becoming. I now know Samuel is a ‘poor man’s’ Tarik Cohen. Samuel is not FF-dead yet, but he’s no Cohen when I watch them as pros going back to the preseason. Samuel had a ‘+’ and a ‘–‘ in this game. He was part of a tricky option-pitch play where he got the pitch and fumbled it away trying to capture the pitch (leading to an early defensive TD). Later, he had a nice medium route and great catch on a slightly off-target throw from Cam. The first time I’ve really seen him working like a real WR…not just taking bubble screens and jet sweeps. Carolina is sitting on a fresh offensive wrinkle with Samuel, but I don’t see any signs that they’re getting ready to unleash it yet. John Fox has tipped his hand – he sees what Doug Marrone’s offense and thinks Marrone doesn’t run it enough, so he’s going to try to achieve the NFL’s first modern-day win without a completed pass. He almost pulled it off here in this one. John Fox is the WORST coach Mitchell Trubisky could have…aside from Mike Zimmer or Jeff Fisher or Rex Ryan…well, you get the point. John Fox is to Mitchell Trubisky what Jeff Fisher was to Jared Goff as a rookie. Either ‘time’ or a coaching change will take Trubisky to the next level. The guy is literally the ‘next Aaron Rodgers’ among us, and Fox is doing what Mike McCarthy wanted to do with Rodgers…be a run-first offense with passes only when you needed it. Eventually, Rodgers was just too good and they had to throw more…to McCarthy’s dismay. That’s where we are with John Fox. Every win scares me that Fox could hang around to coach another season. Until further notice/signs of a change, you cannot use Trubisky in fantasy 2017 confidentially. 2018 will more be his time…especially if Fox is dumped (as is highly likely) and an offensive/pass game head coach is brought in. -- Through the first five games of the season, IDP DL Eddie Goldman (6 tackles, 0.5 sacks) averaged 2.0 tackles per game…but in the past two games he’s averaged 6.0 tackles per game. He’s seeing about the same amount of snaps per game (in for 50-65% of the D-snaps), so I’m not sure what has changed – but note things are trending upward. -- Speaking of the Bears and defense…this is not a bad defense/DST at all. If we ignored special teams or defensive scores they’ve given up in games this season, in the past three weeks they’ve allowed 3-17-20 points to opposing offenses. Besides Aaron Rodgers dropping 35 points on them in that strange Week 4 TNF game where Mike Glennon turned the ball over a thousand times in ever creative ways…the Bears don’t give up a lot of points to opponents this year, and they’re back among the top 10 best in yards passing per game allowed (196 per game) and #6 in sacks in the NFL right now. Don’t forget, Tarik Cohen as a punt returner is 1-2 PR TDs waiting to happen ahead. If this Bears DST keeps producing and staying in the playoff hunt…Weeks 13-16: SF-CIN-DET-CLE. If the Bears unleash Trubisky, with Aaron Rodgers and Sam Bradford down – the Bears have a real shot at winning this division if they beat New Orleans next week. The odds John Fox will unleash this offense is between zero and zero. 38 = Trubisky...38 snaps in a full game, seriously?